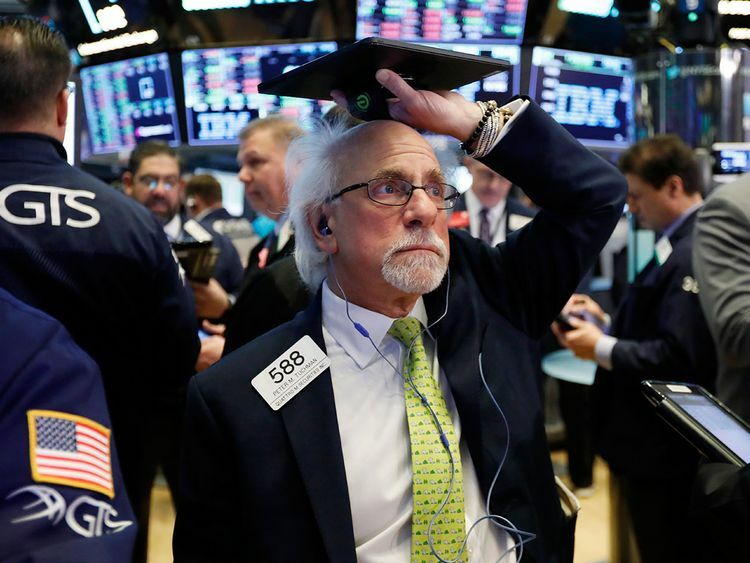 Wall Street’s main indexes trod water on Wednesday as global growth fears lingered and the US yield curve extended an inversion, prompting investors to stay on the sidelines. Apple Inc was a bright spot, up 0.87 per cent after three straight days of losses. The inversion, if it prolongs, could indicate that a recession is likely in one to two years. US stocks have been hit by worries of slowing global economic growth since last week following dour factory data from the United States, Europe and Japan, as well as weak consumer confidence numbers for March this week. “The yield curve being inverted is another data-point that investors are looking at, that’s why our relationship with China and global growth become a concern.” The European Central Bank said on Wednesday it could further delay a planned increase in interest rates as it faces rising threats to growth, a week after the Federal Reserve abandoned any rate hikes this year. At 9:58am. ET, the Dow Jones Industrial Average was down 16.84 points, or 0.07 per cent, at 25,640.89. The S&P 500 was down 3.91 points, or 0.14 per cent, at 2,814.55 and the Nasdaq Composite was down 14.89 points, or 0.19 per cent, at 7,676.63. Data showed that US trade deficit dropped more than expected in January, likely as Chinese purchases of soybeans spurred a rebound in exports after three straight monthly declines. Industrials gained 0.26 per cent, the most among the 11 major S&P sectors with airline stocks leading gains. The S&P 500 airlines index rose 2.7 per cent. Centene Corp’s shares slipped 7.74 per cent after the health insurer said it would buy smaller rival WellCare Health Plans Inc for $15.27 billion. Shares of WellCare jumped 10.23 per cent. Lennar Corp rose 1.85 per cent as the home builder said it expected improving housing market even after missing Wall Street estimates for the first quarter. The S&P index recorded 27 new 52-week highs and one new low, while the Nasdaq recorded 20 new highs and 14 new lows.